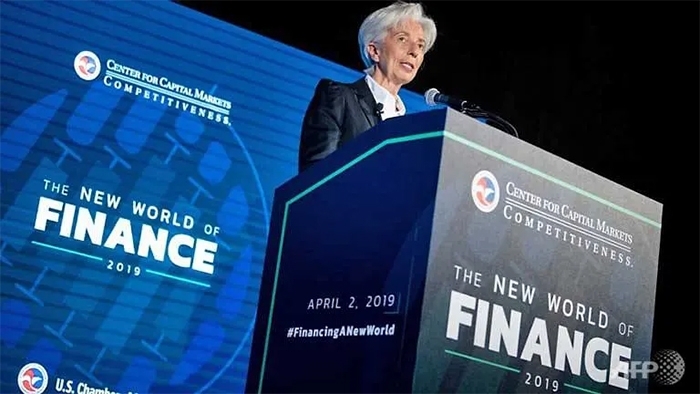 The European Union decision to offer Britain a six-month delay in exiting the economic bloc averts disaster but perpetuates the uncertainty of Brexit, IMF chief Christine Lagarde said Thursday (Apr 11). "At least the UK is not leaving on the 12th of April without a deal," Lagarde told reporters at the start of the IMF's spring meetings with the World Bank. "It probably gives time for the economic agents to better prepare for all options, I'm particularly thinking of the industrialists and the workers in the UK, in order to try to secure their future." "It's obvious that it's continued uncertainty and it does not resolve, other than by postponing what would have been a terrible outcome, because we believe that in terms of economic consequences a no-deal Brexit would have been a terrible outcome."